Terry Ilous of Great White gets his voice back after loosing it on tour with Sean Lee’s help in only 30 minutes! Terry performed the next day and again two days later in Las Vegas for 4000+ people with his band “Great White”, thanks to Sean “The Voice Mechanic”. 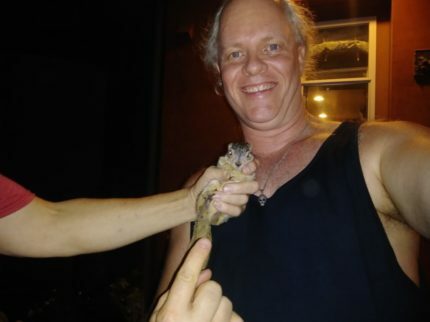 Operation Baby Squirrel Rescue was a success!